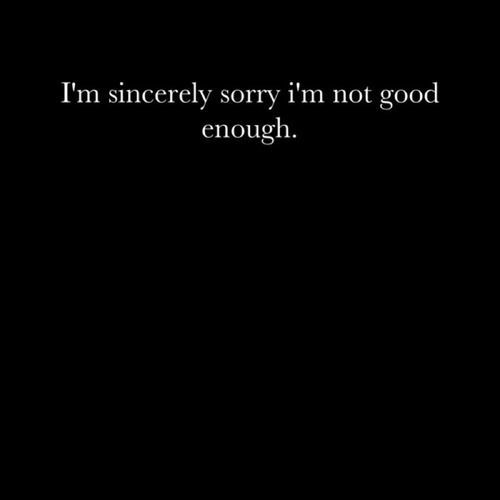 Or that she thought I wasn't good enough. She always had to be smarter. She always had to be wittier. She continually took the credit for things I had done.. and I let her because the only person it hurt was me. If I had a story, she had one that topped it. If something good happened to me, it was because of something she had done. If I ever tried to keep something as just mine, she'd guilt me until I gave her that too. 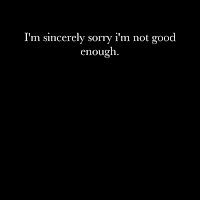 One day, I said "I'm sincerely sorry that I'm not good enough for you..."
Not because I wasn't good enough... but because I knew that I was.